Kick off your visit on the 18th (Tue): take some stellar pictures from Vista Point and then tour the pleasant surroundings at Baker Beach. For where to stay, reviews, traveler tips, and tourist information, refer to the San Francisco day trip planner. Dallas to San Francisco is an approximately 5.5-hour flight. You can also do a combination of flight and train; or drive. The time zone changes from Central Standard Time to Pacific Standard Time, which is usually a -2 hour difference. 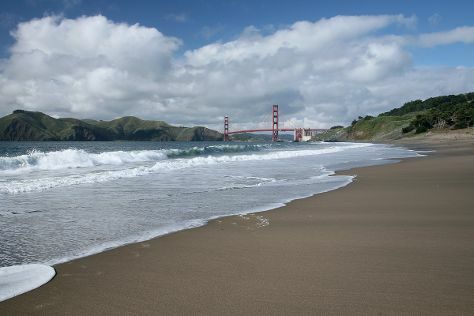 In June, San Francisco is much colder than Dallas - with highs of 25°C and lows of 15°C. Wrap up your sightseeing by early afternoon on the 18th (Tue) to allow time for the car ride to Santa Cruz. To find traveler tips, where to stay, more things to do, and tourist information, you can read our Santa Cruz trip builder tool . Traveling by car from San Francisco to Santa Cruz takes 1.5 hours. Alternatively, you can take a bus; or do a combination of train and bus. In June, daytime highs in Santa Cruz are 26°C, while nighttime lows are 13°C. Wrap up your sightseeing on the 18th (Tue) to allow time to drive to Big Sur. To find where to stay, maps, photos, and tourist information, read our Big Sur trip planner . Drive from Santa Cruz to Big Sur in 2 hours. Alternatively, you can do a combination of bus and taxi; or take a bus. June in Big Sur sees daily highs of 23°C and lows of 13°C at night. On the 19th (Wed), you'll travel to Morro Bay. Morro Bay is a waterfront city in San Luis Obispo County, California located along California State Route 1 on California's Central Coast. 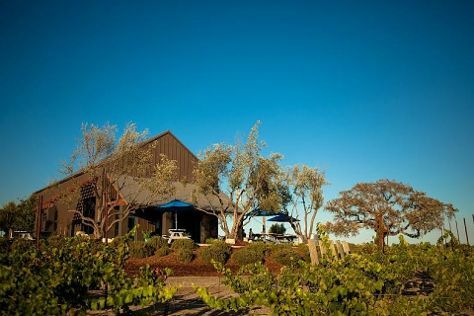 Kick off your visit on the 19th (Wed): tour the pleasant surroundings at Bluff Trail, then do a tasting at Peachy Canyon Winery, and then learn about winemaking at J Dusi Winery. Plan my Morro Bay trip by asking Inpirock to come up with tips and suggestions. Traveling by car from Big Sur to Morro Bay takes 3.5 hours. When traveling from Big Sur in June, plan for somewhat warmer days in Morro Bay, with highs around 30°C, while nights are about the same with lows around 13°C. Cap off your sightseeing on the 19th (Wed) early enough to go by car to San Luis Obispo. San Luis Obispo, or SLO for short, is a city in the U.S. To find other places to visit, traveler tips, reviews, and tourist information, read our San Luis Obispo route planner. San Luis Obispo is just a short distance from Morro Bay. June in San Luis Obispo sees daily highs of 30°C and lows of 13°C at night. Finish up your sightseeing early on the 19th (Wed) so you can go by car to Solvang. Solvang is a city in Santa Barbara County, California. To find where to stay, reviews, ratings, and more tourist information, read Solvang online vacation planner . You can drive from San Luis Obispo to Solvang in 1.5 hours. Another option is to take a bus. June in Solvang sees daily highs of 33°C and lows of 11°C at night. You'll set off for Santa Barbara on the 19th (Wed). To find photos, other places to visit, and other tourist information, refer to the Santa Barbara day trip website . You can take a bus from Solvang to Santa Barbara in an hour. Another option is to drive. Traveling from Solvang in June, you will find days in Santa Barbara are a bit cooler (26°C), and nights are somewhat warmer (15°C). On the 20th (Thu), you're off toLos Angeles. To see where to stay, maps, traveler tips, and tourist information, refer to the Los Angeles trip itinerary builder site . Getting from Santa Barbara to Los Angeles by car takes about 2 hours. Other options: take a bus; or take a train. Plan for a bit warmer temperatures traveling from Santa Barbara in June, with highs in Los Angeles at 30°C and lows at 19°C. On the 20th (Thu), wrap the sightseeing up by early afternoon so you can drive to San Diego. To see where to stay, more things to do, reviews, and more tourist information, read our San Diego trip itinerary builder tool . Drive from Los Angeles to San Diego in 2.5 hours. Alternatively, you can take a bus; or fly. When traveling from Los Angeles in June, plan for a bit cooler days in San Diego, with highs around 26°C, while nights are about the same with lows around 20°C. Finish your sightseeing early on the 20th (Thu) so you can travel back home.